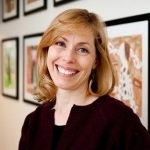 Jeannine is a mental health clinician, educator, and program consultant practicing at the intersection of human and animal issues to support animal people, create sound organizational/social policies, and develop evidence-based animal-assisted programs. 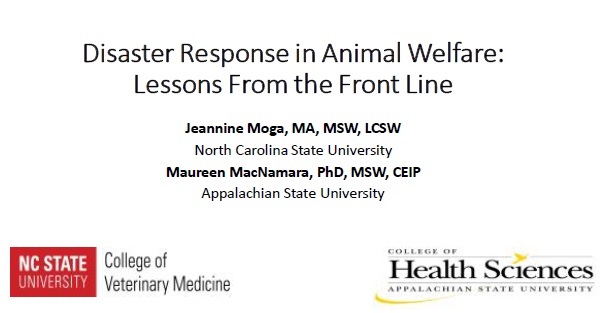 She has served as the Founding Director of both Veterinary Social Services at the University of Minnesota’s Veterinary Medical Center (2004-2012) and, more recently, Family & Community Services at North Carolina State University’s Veterinary Hospital (2012-present). Jeannine provides consultation and training to social services, veterinary medical, and animal welfare professionals across the country. 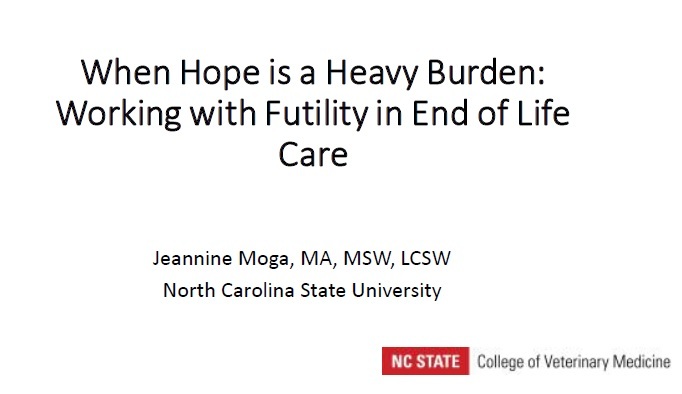 Her focal interests include traumatic grief, medical futility, and occupational risk and resilience in animal care professions.